Attend any booze-fuelled millennial party and you’re likely to breathe in two types of haze: The smell of sweet, smoldering cigarette smoke, or the dank stench of weed. The three substances seem to go together, but which combination induces the better-feeling high hasn’t been considered until recently, when University of California-San Francisco scientists asked a bunch of millennials which pairing they actually preferred. The researchers, who published their work on Tuesday in the journal Addiction Research and Theory, had already known that young adults commonly smoked cigarettes together with either weed or while drinking, and they also knew that they did so because they thought it felt good. Putting it more scientifically, the combined effects of the substances led to a “heightened sense of reward.” What the researchers set out to do was quantify, using self-reported data from 500 American participants aged 18 to 25 surveyed via Facebook, which combination actually created an increased sense of pleasure. Scientists went on a hunt for cigarettes' most pleasure-inducing partner. Of all the cigarettes millennials smoked, about 40 percent were enjoyed under the influence of marijuana or booze. But one was more pleasurable than the other: Drinking alcohol while smoking cigarettes was associated with increased pleasure, while smoking weed together with cigarettes, on average, didn’t affect levels of pleasure. 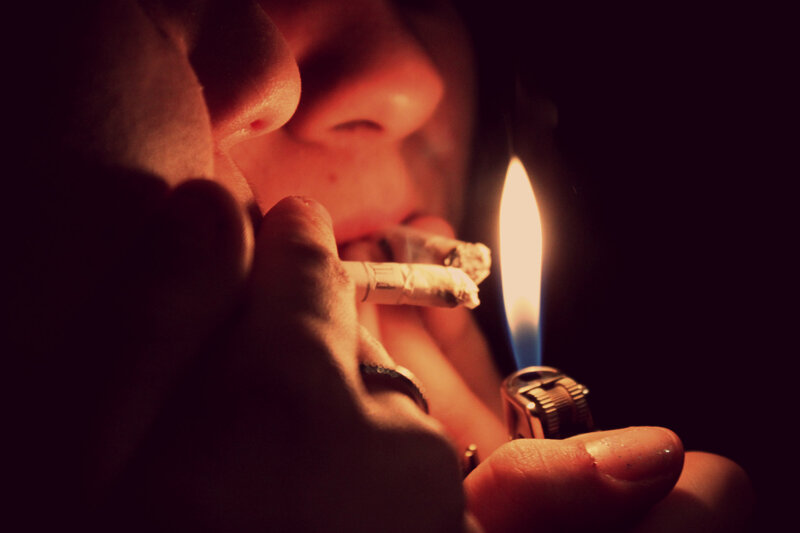 There are various reasons why the cigarette-alcohol combo is more pleasurable than taking cigarettes and weed together, the researchers right. First of all, we already know that cigarettes enhance the pleasures of drinking, perhaps even synergistically: Previous research has suggested that smoking cigarettes counteracts the sleepiness that alcohol induces, while other studies have suggested that nicotine enhances the alcohol “high.” The researchers do note, however, that the sense of pleasure people felt when smoking and imbibing didn’t increase when people indulged in binge drinking. Did the researchers just hand us a recipe for the perfect buzz? Perhaps, but they had much more sober intentions. Finding out why people drink and smoke, they note, is necessary to find out how to stop them from doing it. “Targeting the increased pleasure from smoking cigarettes when drinking alcohol could enhance effectiveness of smoking cessation interventions among young adults who drink alcohol, regardless of binge drinking frequency or marijuana use,” they write. In other words, if we want millennials to stop smoking, we need to consider how to thwart the situations in which they most want to smoke — that is, during parties, when booze is flowing. That doesn’t mean weed is off the hook, however; the authors note at the end of their paper that “it may be more important to target other reasons for co-use of tobacco and marijuana,” but they don’t explain why.